The University felicitates Dr. Anil Kumar Aneja, Associate Prof., Department of English, OSD in the Equal Opportunity Cell and Nodal Officer, PWD, on his being conferred the National Award for the Empowerment for Persons with Disabilities by the Government of India. Educated at Delhi University, Dr. Aneja has a distinguished career of nearly 27 years in academics and nearly 20 years in the disability sector. 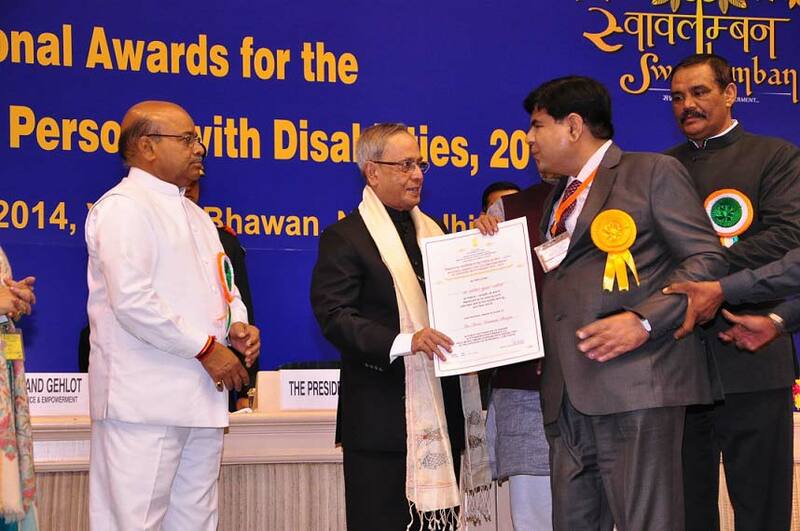 His work for persons with disabilities particularly with respect to advocacy, capacity building & research has been recognized both in India and abroad. As OSD in the Equal Opportunity Cell of the University and as Nodal Officer, PWD, Anil has taken some unique initiatives for persons with disabilities in technology support and employment.